The Great Tree Hotel, Chagford, Devon. For the European tourist, The Gambia provides a first class destination for any birdwatcher. It has the advantage of being only a short flight away (about 5½ hours) and it has a very large birdlist with over 550 species recorded. It is situated close to the northern limit of the tropical rain front and The Gambia is right in the middle of the narrow transitional zone between semi dessert and tropical rain forest, consequently, the country's birdlist includes species from both of these areas with the species to be seen varying with the onset of the rainy and dry seasons. Add to the African endemic species the many European migrants that either pass through The Gambia on migration or spend the winter there, and one can see why the bird list is so large. Because of the proximity of the rain forest to the south and the desert to the north, there is always the chance of spotting something unusual that has overshot on migration, or on a food-finding tour. The climate is very pleasant, although it can be perhaps a little hot inland in the period just before and just after the annual summer rains . However, for many, the big attraction about birding in The Gambia is the attitude of the local population which is friendly and for the most part very helpful. Unlike many other parts of Africa, it is perfectly safe to walk around alone in the bush with your camera and scope without fear of attack from persons or big game. 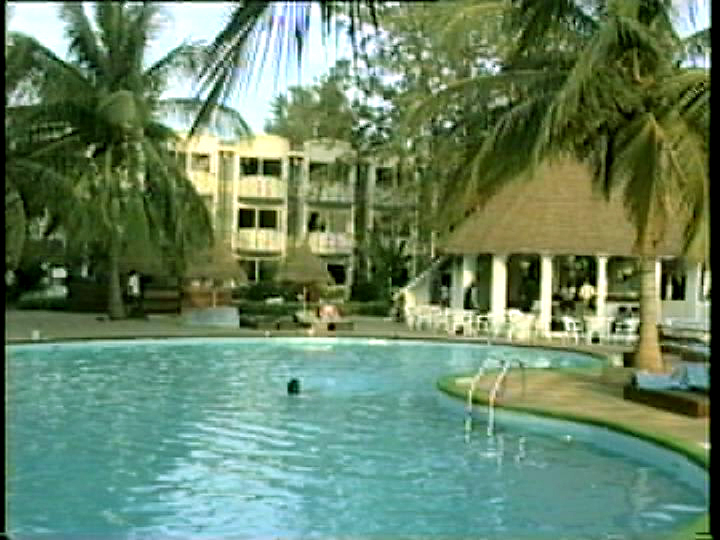 Hotels in The Gambia range from adequate to very good. As in all things, you get what you pay for. The Atlantic Hotel is a little out on a limb being close to the capital Banjul. However, it has its own bird garden, is close to the Bund road and has Clive Barlow, co-author of the new field guide to the Birds of the Gambia, as its resident ornithologist. There are several hotels around Kotu; Kombo Beach, Bungalow Beach and the Badala Park which offer good birding just a short walk from the hotel in the Kotu area. 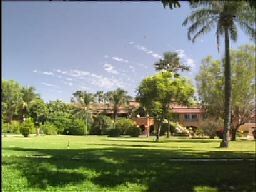 The Senegambia has large grounds with a corresponding large bird population. The Kairaba, a little more expensive than the average is next door. Also nearby is the Kololi Beach Club, time share, but rooms can be booked here. All these last three are close to and within easy walking distance of the small Bijilo reserve. Almost anywhere in The Gambia is good for birds, especially if you have never been before. Don't dismiss your hotel grounds as being too peopled either, you will often get good views of birds such as the Barbary Shrike (sorry Gonelek, showing my age) in the grounds whereas outside they are very timid and often hard to see well. The Senegambia in particular is renowned for its bird garden, however, in Feb 2000 they were feeding the vultures and Black Kites on the lawn which seemed to have driven some of the smaller birds away. The Atlantic Hotel too has a small but effective bird garden and I have some lovely video of a Blue Breasted Kingfisher that took up residence there for a while. The Kairaba has large grounds which attract many species including Wattled Plover and Whimbrel. In truth, most of the hotels have some grounds around them and you will undoubtedly find birds to enjoy whichever hotel you are staying in. Every little patch of rough ground seems to have its own specialities like the black shouldered kite that habituated the waste ground between the main road to the Senegambia Hotel and the sea. A damp patch on this same piece of ground one morning produced practically every Gambian heron and egret plus spoonbills. However, when I was there in January 2004 there was some building going on in this area and it may not be quite as productive as it used to be. A good guide can be a great help, especially if you are looking for a particular bird. The problem in The Gambia is that the local enterprise culture has found that a lot of tourists come to The Gambia to watch birds and that there is money to be made as a guide. If you appear outside your hotel with binoculars around your neck, you will soon be surrounded by potential guides. Some are good and really know their stuff, but many know little about bird recognition or where best to find birds. The very best ones, do not hang about outside hotels, you will need to contact them. All the hotels run special birdwatching excursions, and if you are on your first visit to The Gambia, then for your first couple of outings you won't regret using these as a springboard to your own travels. However, for trips up-country and away from the coastal regions, until you have a little experience of the country, I would always recommend a guided tour. Not for safety reasons, but because it would be just too easy to spend your valuable time searching for the best sites instead of birdwatching, which is afterall, what you are thinking of visiting The Gambia for, isn't it? There are plenty of good sites within easy reach of the hotels. You could walk to many of them from the hotel but, apart from those right next to the hotel, it would mean a hot and dusty walk along busy roads. However, with taxis relatively cheap its really not worth the hassle. Remember to bargain with your taxi driver, you will usually be able to negotiate a reasonable rate for there and back with a couple of hours waiting. But do agree the price before you start. If you are a really 'hard nut' you can probably get your ride very cheap. I personally like to settle on a price that I think is reasonable for the journey, I get no pleasure in squeezing the last ounce out of someone who is already making do on a minimal income. 1. Bund Road. A brackish wet area on one side of the road, sea mudflats on the other side, just outside Banjul. Shags, Pelicans, Herons, Egrets, Kingfishers, Waders, Gulls, occasional stork and ibis. Doves on the roadside wires. Crested Lark, Marsh Harrier.............. etc. 2. Kotu Bridge, Kotu Ponds and the Golf Course. All situated in the area around Kombo Beach/Badala Beach Hotels. Kotu Bridge and Ponds good for waders,herons, egrets pied kingfisher. Kotu Ponds (Honey Farm) additionally often has ducks and little grebe. Golf course often has Black Headed Plover, Wood Hoopoe, small raptors, scops owl..................etc. 3. Waste Ground between Kairaba Avenue and the sea (towards Senegambia Hotel) . Black shouldered kite, warblers, Prinia, Tchagra, Oriole Warbler.................etc A small water hole at the "Palma Rima" end of this patch often has a good selection of herons from the end of the wet season to about mid February after which it dries out. An area behind the Palma Rima hotel is good for nightjars, but we have been advised by Gambian Guides that this is not a recommended area to visit without local assistance. I have never heard them say that of anywhere else in The Gambia, so I would heed the warning. 4. Tanji Bird Reserve. A remarkable narrow strip of land between the sea and the main southbound coastal road. Despite its small size around 300 species of birds have been recorded here including a number of raptors. Seagulls and waders on the sandbanks just offshore. Not very far out of Banjul, but you will need transport to get there. There is a small entrance fee to help to pay for the wardens that look after the area. The dirt road that used to be the main thoroughfare to the reserve and which bounded the eastern side of the site has now been upgraded to a good tarmac road. It makes getting to the site much easier but has, of course, increased the amount of traffic travelling through the area. However, on my last visit Feb 2004, the extra traffic did not seem to have materially affected the number of birds to be found there. 5. Bijilo "Forest" Park. A small "Managed" reserve just by the Kololi/Kairaba/Senegambia complex. Has good varied selection of birds including Stone Partridge and is the only place where I have managed to get good close views of white cheeked bee-eaters. However, there is a growing problem with green vervet monkeys. Guides are encouraging people to feed them which on the face of it seems harmless enough. Unfortunatley, some are becoming bolder and more demanding and are becoming aggressive if food is not forthcoming. Soon someone is going to get bitten, probably a child who doesn't appreciate that these are wild animals that will not take kindly to being stroked by humans. The monkeys are also venturing out from the park and we have had our bags ransacked by them whilst sitting in the Kairaba lawns. Fortunately nothing valuable was broken, but it might have been very different. 6. Abuko Nature Reserve. A managed reserve of remnant rain forest around a small pond that used to have good water levels all year. However, in September 2003 during the wettest rainy season for some time and again in Jan 2004, the water supply to the pond appeared to have been "diverted" and the pond was almost dry. The bird population around it has suffered a marked decline as a result. The extended bird walk too had become overgrown and the paths uncleared. I tried to find out what had gone wrong from the administrative offices, but got a succession of differing reasons, none very plausible. It is to be hoped that this was only a temporary glitch for what is really quite a unque area of The Gambia, and all will have returned to its old standard when next I visit in Jan 2005. However, not withstanding the above, there are a number of public hides in the Reserve and, for the more serious, a small hide overlooking its own small waterhole near the animal sanctuary in the centre of the reserve can be rented by the day for a small fee. (Book in advance at the main entrance. It will take two persons comfortably and three at a pinch.) The bird list of about 200 includes Eagle Owl, Night Heron, Giant Kingfisher and most of the other kingfishers, Violet and Green Turaco and Paradise Flycatcher. Abuko is a delightful spot that can be very rewarding first thing in the morning when the gates first open (8 am) and again in the late morning after the majority of the tourist groups have departed. 7. Yumdum Airport. There is a patch of open countryside on the left of the main road leading from the tourist hotels to the airport, just before reaching the main Serrekunde/Brikama road. It used to be a good spot to see Buffalo weaver, Pin Tailed Whydah, Yellow Shouldered Widowbird, Black Crowned Tchagra, Red Bishop and sometimes Chestnut Bellied Starling. Unfortunately, this area has seen some development along the main road and it may no longer be quite so productive. 8. Lamin Lodge. Take a boat trip from here to see many of the herons species. You will be unlucky not to see Goliath Heron, and with luck should see Osprey, Grey and Pink Backed Pelican, Yellow Billed Stork and Sacred Ibis. "We have two boats which sail up and downstream twice a week. Both are traditional Gambian pirogues with a sun deck, a small bar and WC facilites. - The "Safari Queen" operates over the dry season (Oct – Apr) and takes you through the mangrove habitat along the lower end of the river between Kerewan and Tendaba. Tendaba Camp is opposite the BaoBolong Wetland reserve and is a must for the keen birdwatcher. - The "Lady Hippo" operates throughout the year and is based up-country at Bird Safari Camp. It is here that you can explore the fresh-water habitat of the Gambia River National Park and hopefully see hippos, monkeys, baboons and chimpanzees as well as the occasional Nile crocodile. In terms of birdlife, Bird Safari Camp is probably the best place in The Gambia to see owls - species recorded here include Senegalese and European Scops Owl, Northern White-faced and Verreaux's Eagle Owl, Pearl-Spotted Owlet and possibly African Wood Owl (heard, but no confirmed sightings)." Tendaba Camp and Kemoto are situated at either end of the Kiang West National Park. Accommodation is a little more "Spartan" than a normal hotel, but never-the-less, very adequate and the staff as always are very helpful and friendly. Here you could see Ground Hornbill, Gabar and Chanting Goshawk, Brown Snake Eagle, Crested Hawk Eagle and the magnificent Bateleur or a Marital Eagle. Further inland stay at the Bird Safari Camp at Georgetown. A lovely spot with its own speciality of the delightful little Swamp Flycatcher and Hippos in the river here. I have seen Western Banded Snake Eagle and Red Shouldered Cuckoo Shrike in the woods surrounding the camp. Travelling further inland towards Basse takes one into Carmine and Red Throated Bee-eater country. October to December sees the magnificent Crocodile Bird, the Egyptian Plover in residence at Basse. For me the sight of this bird makes the long journey to Basse worth every bruise on my rear end. New accommodation was being built on the opposite side of the river from Basse town when I was last there in October 1999. Perhaps if someone has been up there since its completion they could let me know what it is like. Also, the Kairaba hotel was starting to build an upcountry site. That too should have benefits for birdwatchers. A final finally. You will be addressed as "Toubab" a local corruption of "two bob". Two bob (two shillings in old money) was the going rate for running an errand in the days when The Gambia was a colony. If you think how inflation has changed values, you will realise that it was in fact quite a generous rate. Happy birding.